Patrick Tuohy is a small business which sub-contracts to Tarmac delivering Asphalt and aggregate. Patrick Tuohy is the owner of the business and is based in Hayes, Middlesex. 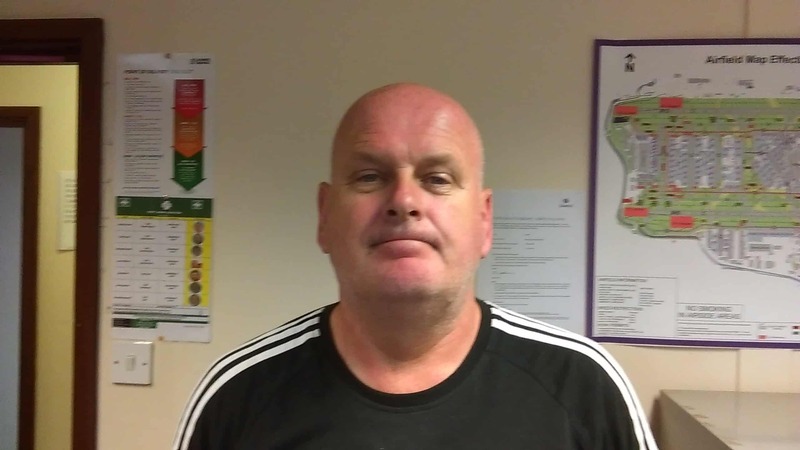 Patrick Touhy is proud to of kept their safety record and transport related fines to Nil. Patrick Touhy has also benefited from a significant improvement in fuel consumption. We were introduced to FORS by Tarmac, we quickly realised it would help us to achieve best practice and benefit us by becoming FORS accredited. ‘Once we were Bronze accredited, we really made the most of the benefits on offer, especially the e-learning. Once we were Bronze FORS accredited it has shown us the benefits of being part of FORS, there was nothing holding us back from achieving our Silver and now onto our Gold. We have improved on our baseline figures by 50% due to driver training and being able to monitor our fuel by creating our own spreadsheet. At Patrick Tuohy we only have the one vehicle. 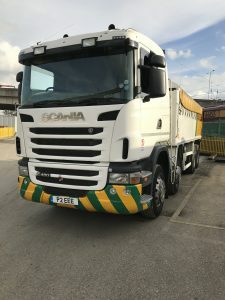 If we were to recruit it would be on-line advertising and recommendations by word of mouth, we would also use the two week buddy system so the driver would be fully trained before continuing by themselves this is also now a Tarmac requirement. We have completed a Noise assessment, to help us to reduce noise pollution during driving, parking, loading or unloading, and have used the FORS anti-idling toolkit for myself and my driver. We have looked at modal shift and alternative fuel to include Hybrid and hydrogen powered vehicles, if the vehicles become available for our workload, we would look into the possibility of changing vehicles. Our plans for the future are to to make continual fleet improvements, to include the new Euro 6 vehicle from Scania due for delivery in June and to continue monitoring and improving our fuel management. Becoming Gold accredited means we are showing our customers that we are a dedicated company, who will continue to benefit from the support and training of FORS within our business.